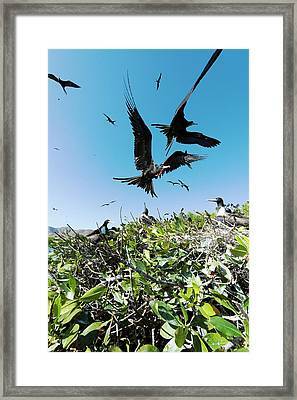 Magnificent Frigatebirds is a photograph by Christopher Swann which was uploaded on July 24th, 2016. 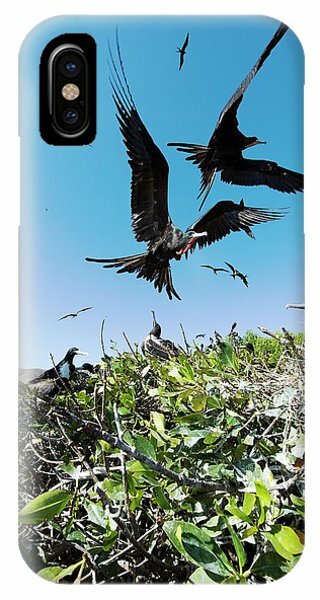 Magnificent frigatebirds (Fregata magnificens). 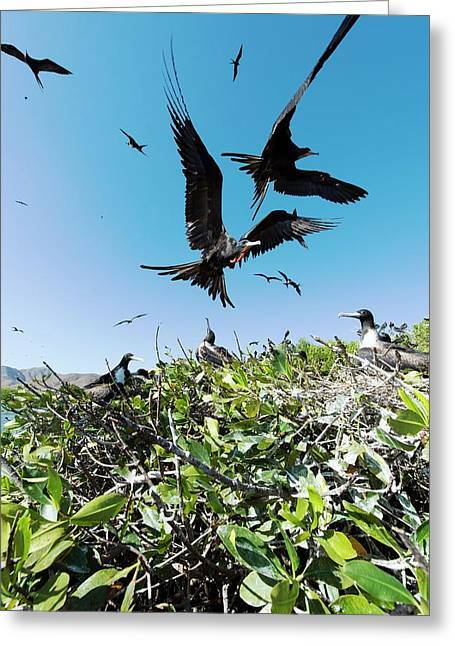 Flock of male and female magnificent frigatebirds in a tree. This large seabird lives in equatorial waters, feeding mainly on fish using its sharp and hooked beak. 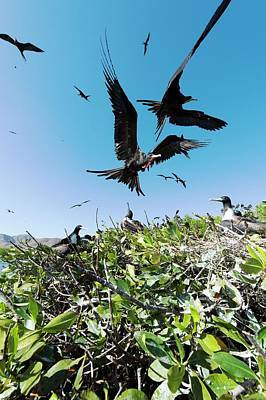 It is the largest of the frigatebirds, reaching a wingspan of around 215 centimetres. 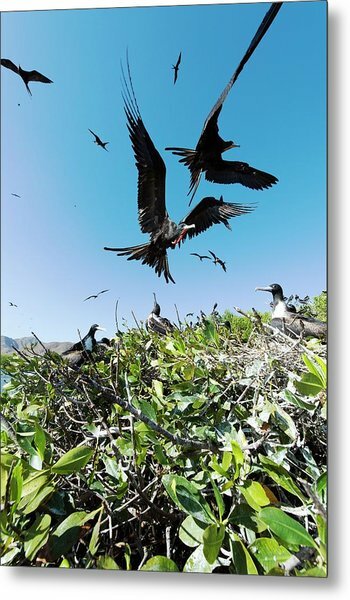 Males have a striking red gular sac on their neck, which they inflate to attract a mate. Females are slightly larger than the males and have a white breast and belly. 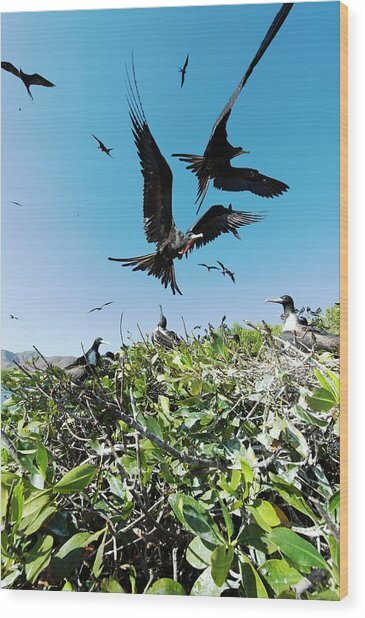 Photographed in Baja California, Mexico. 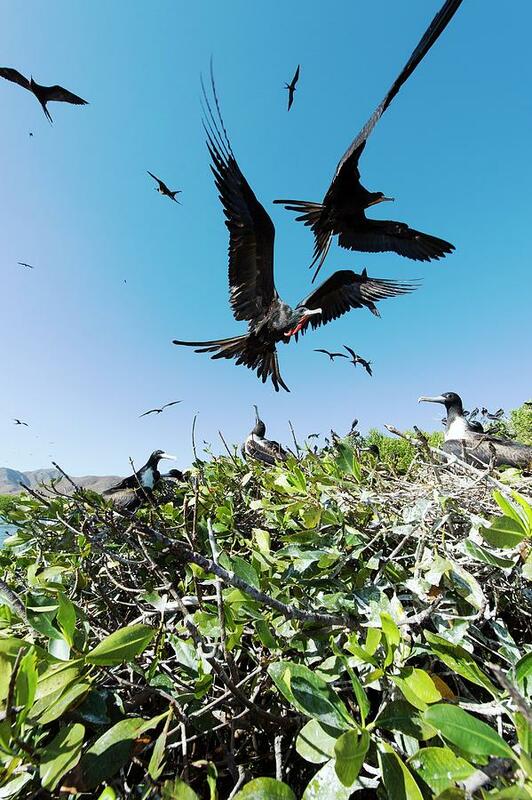 There are no comments for Magnificent Frigatebirds. Click here to post the first comment.